St. Andrew was the brother of St. Peter and the first disciple called by Christ. 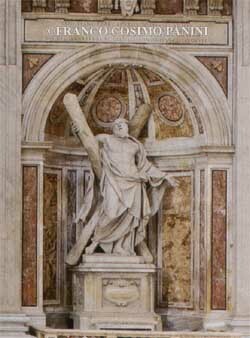 St. Andrew went to Greece to preach the gospel, and tradition has it that he was crucified on a cross in the form of an 'X'. The relic of St. Andrew's head was donated to Pius II (1460). Paul VI (1966) presented the relic as a gift to the Church of St. Andrew in Patras as a sign of friendship with the Greek Orthodox Church. St Andrew (4.68m) by Francois Duquesnoy was unveiled before Urban VIII on 2nd March 1640. It was the first out of the four statues in the piers to be started. 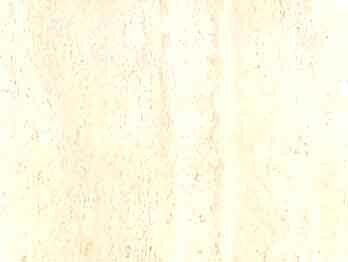 The saint is standing dynamically in front of a characteristic cross, watching the sky in ecstasy. It took a long time to make it, because the sculptor had to realize a second stucco model as the first one was broken while it was being moved from his studio to St Peter's. The transfer of the head of the Apostle to Rome was done thanks to Pius II Piccolomini. After the Turkish invasion in the Peloponnese, the Pope received the relic of the famous head from Thomas Palaiologos, the last sovereign of Morea. 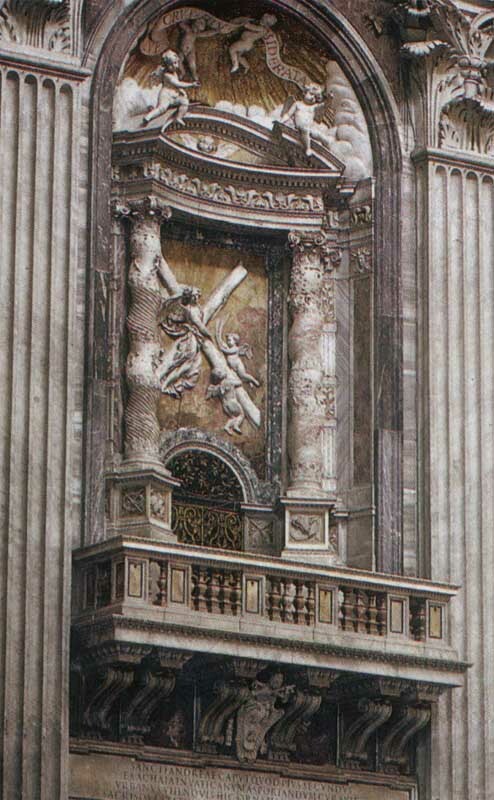 The relic was taken by Cardinal Bessarione at Milvio Bridge and then it was moved to St Peter's with a solemn ceremony on Palm Sunday 12th April 1462. For safety, it was kept at Castle San Angelo, and in 1464 it was placed in a tabernacle erected in the last left-hand aisle of the Constantine Basilica. 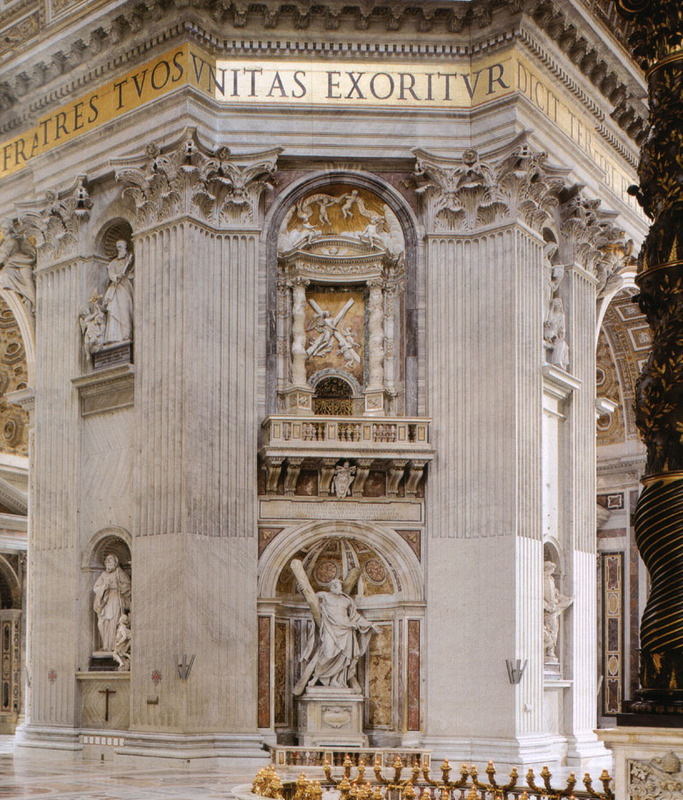 At the beginning of the next century Francesco Bandini Piccolomini, Archbishop of Siena and Pius III Piccolomini's grandnephew, continued his family tradition and adorned the altar with a marble statue of the saint, at present in the entrance corridor to the Sacristy. In 1966 Paul VI donated the relic to the city of Patras, where St Andrew died. St. Andrew, whose feast day is November 30th, is the patron saint for fishermen. Andrew, like his brother, Simon Peter, was a fisherman. He became a disciple of the great St. John the Baptist, but when John pointed to Jesus and said, "Behold the Lamb of God!" Andrew understood that Jesus was greater. At once he left John to follow the Divine Master. Jesus knew that Andrew was walking behind him, and turning back, he asked, "what do you seek?" When Andrew answered that he would like to know where Jesus lived, Our Lord replied, "Come and see." Andrew had been only a little time with Jesus when he realized that this was truly the Messiah. From then on, he decided to follow Jesus. Andrew was thus the first disciple of Christ. Next, Andrew brought his brother Simon (St. Peter) to Jesus and Jesus received him, too, as His disciple. At first the two brothers continued to carry on their fishing trade and family affairs, but later, the Lord called them to stay with Him all the time. He promised to make them fishers of men, and this time, they left their nets for good. It is believed that after Our Lord ascended into Heaven, St. Andrew went to Greece to preach the gospel. He is said to have been put to death on a cross, to which he was tied, not nailed. He lived two days in that state of suffering, still preaching to the people who gathered around their beloved Apostle. Two countries have chosen St. Andrew as their patron - Russia and Scotland.